With Iran's help, Palestinian Islamic Jihad has Gaza's largest rocket arsenal. Israel Defense Forces units captured two PIJ operatives who had crossed over from Gaza on March 8, as they approached the fields of a southern Israeli Kibbutz armed with grenades and knives. The IDF captured the terrorists minutes before they reached the Kibbutz Erez – an incident that underlines just how tangible the Iranian proxy threat is from Gaza. As a result, the IDF has been on high alert to such threats, including the possibility of PIJ sniper fire from Gaza, and bombing attacks. Israeli security sources were quoted in media reports April 1 saying that PIJ was planning an imminent terror attack on Israel from Gaza. Citing suspicious activity by PIJ members, the officials said the attack could have taken the form of an anti-tank guided missile firing at Israeli military forces; a large border IED attack, or a terror cell's intrusion into Israel. 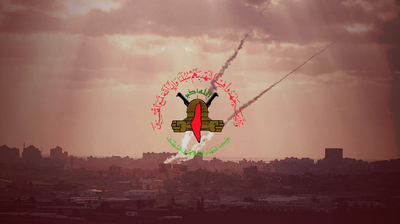 The warning appears to have convinced PIJ that Israeli intelligence was on to it, and the attack did not materialize. But the reports form one more illustration of how Iranian-backed terror forces can destabilize the region with ease.